Barco, a global technology company, designs and develops networked visualization products for the Entertainment, Enterprise and Healthcare markets. Barco has its own facilities for Sales & Marketing, Customer Support, R&D and Manufacturing in Europe, North America and APAC. Barco (NYSE Euronext Brussels: BAR) is active in more than 90 countries with 3,300 employees worldwide. Cisco designs and sells broad lines of products, provides services, and delivers integrated solutions to develop and connect networks around the world. Dell Inc. is a multinational computer technology company based in Round Rock, Texas, that develops, sells, repairs, and supports computers and related products and services. Founded in 2010 in the Netherlands, Dimenco is a leading technology company bringing excitement and reality to the world. Developing technologies to bring Simulated Reality into the consumer realm, with intuitive, gesture-based interaction, surround sound and breathtaking immersive effects. All without the need for uncomfortable headware. Dimenco is recognized as a global market leader in spatial visualization with high-quality award-winning products. Dolby has built on its rich heritage of technologies that transform storytelling, expanding its focus to produce new sight and sound experiences that unleash the potential of entertainment and communications. DreamWorks Animation is recognized as one of the most admired family entertainment brands in the world. Dedicated to helping families dream and laugh together, DreamWorks creates and innovates 3D animated feature films, original TV series, and shorts, interactive media, live entertainment, themed experiences, consumer products, publishing, and trailblazing technology. First Class Seating provides fully immersive experiences to moviegoers through its Separate Audio Programing (SAP) capability integrated into the seat. Our patented WIFI technology enlarges the cinema market by providing additional, more inclusive language capabilities (Spanish, French, etc.) and descriptive audio to fulfill the needs of today’s diverse audiences. First Class Seating is a Holland Michigan based design and manufacturer of solutions for the cinema, performing arts, worship and educational markets. Futurism Entertainment is a cutting edge, dynamic media company with a focus on AR, VR, MR, Motion Picture and Video Game integration. Futurism has assembled a strong group of independent entertainment, game, AR, VR and tech companies into a powerful unbeatable team. This forward thinking and well-established group of managers, executives, producers, developers and programers have the right skills and experience to create the global vision for the future of media and entertainment. Global 3D Media (G3DM) is a New York-based technology and media company that develops the most advanced end to end total solution for proprietary auto-stereoscopic 3D technology. As the leading enterprise in auto-stereoscopic 3D development, Global 3D Media has hundreds of patents and copyright. Through offering a series of glasses-free 3D products and services, G3DM seeks to change the way people interact and communicate with the world. Lampix is an augmented reality smart projector and camera system that recognizes hands and objects, transforming any existing horizontal surface into an interactive one with a dazzling digital display. Lampix was named winner of Highway 1 (2016), the AR/VR category in the Accelerator Pitch event at SXSW (2017), and was named Best Augmented Reality Display by Next Reality (2017). The company currently has offices in New York, San Francisco and Brasov, Romania. Located in Emeryville, California, Pixar Animation Studios has created acclaimed animated feature and short films for over 25 years. Pixar is also home to the RenderMan line of software products. Sony Entertainment’s global operations encompass motion picture production, acquisition and distribution; television production, acquisition and distribution; television networks; digital content creation and distribution; operation of studio facilities; and development of new entertainment products, services and technologies. 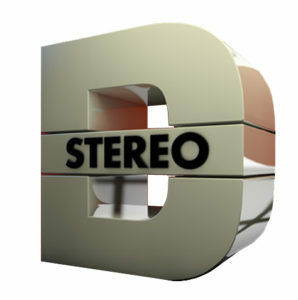 Stereo D is the recognized leader in high-quality conversions of 2D theatrical content into stereoscopic 3D imagery. Formed in 2009 and acquired by Deluxe Entertainment Services Group Inc. in 2011, the company works with major motion picture studios, directors, cinematographers, and VFX supervisors to bring their vision of 3D storytelling to the screen. Stereo D has completed work for such films as “Titanic in 3D,” “The Avengers,” “Captain America,” “Jurassic Park 3D,” “Star Trek Into Darkness,” “Pacific Rim,” “Need For Speed,” “Godzilla,” “Hercules,” And “Guardians of the Galaxy,” among many others. The company also provides end-to-end 3D production services on feature films, television productions and commercials. “Technicolor” is the trademark for a series of color motion picture processes pioneered by Technicolor Motion Picture Corporation (a subsidiary of Technicolor, Inc.), now a division of the French company Technicolor SA. The Technicolor Motion Picture Corporation was founded in Boston in 1914 (incorporated in Maine in 1915) by Herbert Kalmus, Daniel Frost Comstock, and W. Burton Wescott. Universal Studios is an American film studio, owned by Comcast through its wholly owned subsidiary NBCUniversal. Universal was founded in 1912 by the German Carl Laemmle, Mark Dintenfass, Charles O. Baumann, Adam Kessel, Pat Powers, William Swanson, David Horsley, Robert H. Cochrane, and Jules Brulatour. Universal is the world’s fourth oldest major film studio, after the renowned French studios Gaumont and Pathé, and the Danish Nordisk Film company. Stroz Friedberg is a specialized risk management firm built to help clients solve complex challenges prevalent in today’s digital, connected and regulated world. Our focus is on cybersecurity, with leading experts in digital forensics, incident response and proactive security; investigations; eDiscovery; and due diligence. Aon Risk Solutions is the worldwide leader in risk advice and insurance broking. Our experts apply a client-focused approach to risk products and services that leverage a global network of resources, industry-leading data and analytics, and specialized expertise. Aon + Stroz Friedberg, together known as Aon Cyber Solutions, provide access to the most advanced thinking and highly skilled solutions in the cyber industry. Since 1993, DTS, Inc. has been dedicated to making the world sound better. Through its pioneering audio solutions for mobile devices, home theater systems, cinema and beyond, DTS provides incredibly high-quality, immersive and engaging audio experiences to listeners everywhere.